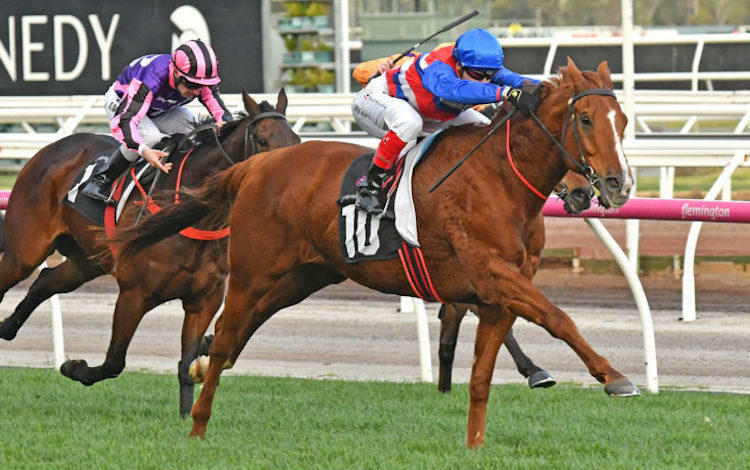 Feature races were again aplenty for MiStable clients on Saturday headlined by Paul Preusker Racing's training effort with iron horse MAGIC CONSUL (pictured) winning The Valley's Group 2 Dato' Tan Chin Nam Stakes. The Valley also saw the Jarrod McLean Racing trained TRAP FOR FOOLS go back-to-back over the course and distance while SEDUCTIVE MISS got the day off to a flying start for John Salanitri Racing Stables. Steve O'Dea and Proven Thoroughbreds are both valued clients and had a big day out at Doomben when teaming up for a double after INVIGORATING and SCALLOPINI were both led back to the winners stall. Another trainer/syndicator combination in Kris Lees Racing and Australian Bloodstock combined with TAWFIQ BOY going one spot better second-up from a spell. The Australian Bloodstock team also had ROYAL MUSIC score in a head bobber in Adelaide. Favourite backers also went home happy with Edmonds Racing who prepared FROM WITHIN to her third career win now making it back-to-back successes. Rosehill saw Clarry Conners Racing Stables salute with CONARCHIE at seven years of age going back-to-back and making it a total of nine wins - he started $26 on Saturday and $51 last start! Keith Dryden & Scott Collings were a bit more popular with punters after Jay Ford got the best out of HANDLE THE TRUTH for Laurel Oak Bloodstock - a very promising Star Witness colt. Liam Riordan was at his front-running best in Adelaide and got FANCY RUMBLE into the winners stall for Wayne Francis & Glen Kent. STAR PATRIOT continued his great form in Adelaide winning again for Travis Doudle Racing while Mick Price Racing got the chocolates with PRINCESS OF QUEENS in the lucky last. Gangemi Racing prepared CRYSTAL SPIRIT for his third straight success at short odds in Perth while Lindsey Smith Racing Stables got THUNDERSTRUT back in the winners stall. Michael Freedman's ENDEARING scored a win in Sha Tin, Hong Kong whilst Lee Freedman Racing made an amazing double with NOWYOUSEE and FIRE AWAY in Singapore, Stephen Gray Racing also deserving of a mention with UNCONQUERED achieving a win in Singapore. A shout out to Nick Olive and Joseph Ible on Friday's winners in the ACT.